We are proud to be a Discovery Partner of the Gallipoli Medical Research Foundation (GMRF).  Thynne + Macartney is committed to the Queensland community and has been deeply embedded in the State’s history since 1893. Our partnership with GMRF gives us an opportunity to give back. GMRF fund and facilitate medical research to prevent, cure or lessen the impact of diseases affecting the veteran and broader Australian community. Due to the support received from Greenslopes Hospital and the income generated by the award winning Clinical Trial Unit, 100% of every dollar donated is spent on research. One of our founders, Andrew Thynne, was Chairman of the Recruiting Committee during World War I and played an instrumental role in the beginnings of Anzac Day. Our partnership with GMRF allows us to continue the firm’s historical support of veterans. The research GMRF is undertaking on PTSD, in partnership with RSL Queensland, has proven that as well as the mental toll, PTSD takes a physical toll on the body with those affected experiencing higher than normal incidences of heart attack, liver disease, gastrointestinal problems and sleep disorders. GMRF also facilitate medical research across a broad spectrum including a Liver Research and Liver Cancer Unit, a Respiratory Research Unit, an Ophthalmology Research Unit and a Clinical Trials Unit. They undertake Wounds Management Research as well as the PTSD initiative. GMRF fund the Gallipoli Medical Research Institute (GMRI) via donations from supporters, corporate partners and patients at Greenslopes Private Hospital. With world class laboratories as well as housing and funding the dedicated PTSD and Liver Units, GMRI provides grant funding and laboratory space to support research into diabetic retinopathy (diabetic blindness), pulmonary nontuberculous mycobacterial infections and bronchiectasis (respiratory disease) and offers a number of full and partial PhD scholarships. GMRF dates back to 1970 when Greenslopes Hospital (formerly the Repatriation General Hospital) became a teaching hospital of the University of Queensland with research commencing that year. In 1997 the Greenslopes Private Hospital Veterans’ Research Foundation was established and in 2005 the Gallipoli Medical Research Foundation was launched, taking over from the previous Foundation.